Children have this exceptional ability to allow their mind to wander into bizarre and outrageous worlds. 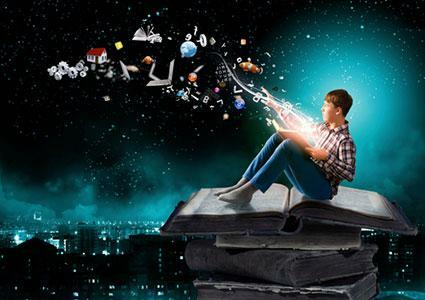 Fantasy series books offer a place for children's dreams to come alive over an extended period for both the characters and the reader. In the Looniverse books, David Lubar introduces early readers to Ed, a normal boy whose life is turned upside down when he discovers an odd coin. 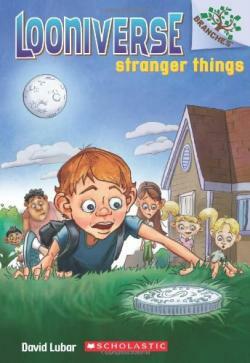 Stranger Things: After discovering a strange coin that says 'strange, stranger,' everything around Ed bursts into chaos. Ed must figure out why all these weird things are happening and how to stop them. Meltdown Madness: Ed is learning to control his new powers, but he doesn't have it down quite yet. The book follows his adventures as he inadvertently ruins the chocolate bars he's supposed to sell for his soccer team. How will he get himself out of this mess? Dinosaur Disaster: Ed's new abilities give him the opportunity to experience a dinosaur, up-close and personal. Stage Fright: Kids will laugh out loud as the follow Ed and his adventures entering a play-writing contest. The Dragon Masters series follows Dragon-Masters-in-training Drake, Bo, Ana, and Rori as they learn how to connect with and train their dragons. In this illustrated series by Tracey West, early readers can start their love of fantasy with dragons, a king, wizards, and magic. Rise of the Earth Dragon: Eight-year-old Drake is taken to the king's castle to be trained as a Dragon Master. He, along with the other main characters, Drake, Bo, Ana, and Rori, must learn about the dragons' special powers as they are tested to see if they have what it takes to become Dragon Masters. Saving the Sun Dragon: When one of the dragons becomes sick, the Dragon masters must travel far and wide to find a cure. Secret of the Water Dragon: Join the dragon masters as they go on an all out quest to figure out whose trying to steal the Dragon Stone. Power of the Fire Dragon: A giant dragon attacks the castle and it's up to Drake and Rori to stop the attack. The Magic Tree House series follow brother and sister Jack and Annie, who discover a magical tree house filled with books. The magic in the books whisks them away on many adventures through time and across different worlds where they need to use research, riddles, and courage to solve problems and help those in need. There are also over 20 nonfiction companions, known as Magic Tree House Fact Trackers, that give readers an easy way to find out more about their favorite places, subjects, and time periods. 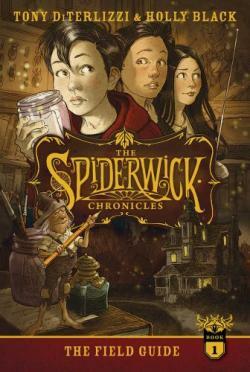 The Spiderwick Chronicles, by Tony DiTerlizzi and Holly Black, tell the story of Simon, Jared, and Mallory Grace who discover a world of faeries after moving into the Spiderwick Estate. The Field Guide: The Grace children discover secret rooms and books in their new home. A brownie named Thimbletack accuses the children of destroying his nest and wreaks havoc on the family. The Seeing Stone: Simon goes missing at the hand of scary goblins. Jared and Mallory have to figure out how to get him back before it's too late. Lucinda's Secret: The Grace children realize that the only way to get rid of the bridge troll, griffin and other creatures plaguing them right now is to get rid of the book, except they can't. The only person who has the answers that they need is crazy Aunt Lucinda! The Ironwood Tree: The guide has mysteriously disappeared. Can the Grace children get it back and figure out what's been killing the plants and animals in town? The Wrath of Mulgarath: With their mother kidnaped, and the guide gone, the Grace children set out to rescue Arthur Spiderwick and defeat Mulgarath's army. A number of companion books have been published alongside this series. There is also a second series - Beyond the Spiderwick Chronicles. C.S. Lewis takes you on a journey to the land of Narnia, where anything is possible and talking beasts and witches await. The Chronicles of Narnia explores the adventures of various children who play important roles in the history of Narnia. 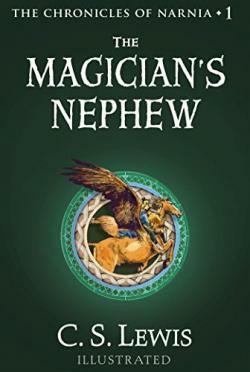 There are seven books in this series, and while the Magician's Nephew is first in the series, it's The Lion, the Witch and the Wardrobe which is probably the most well-known of the seven books. In The Magician's Nephew, Digory Kirke and Polly Plummer become friends and are tricked into travelling to another world. When they accidentally awaken a witch, Aslan the lion creates a new world to contain her. In The Lion, The Witch, and The Wardrobe, four children step through a wardrobe into the land of Narnia which is enslaved by the white witch. However, Aslan returns, just in time. Eragon: Eragon, a poor farm boy, discovers that he is actually a Dragon Rider. He is given a dragon, a sword, and sage advice from an old storyteller as he realizes that he has been swept into a magical empire. His choices will either save or destroy the empire. Eldest: Eragon must travel to the land of the elves to further his training as a Dragon Rider. Brisingr: Eragon continues to battle in the empire. Only this time, he has gotten himself into trouble by making promises he cannot keep. Inheritance: The final book chronicles Eragon in his epic battle against the evil king of the empire. Reading fantasy series to, or with, your child allows you both the chance to show off your creative side. The genre offers a magical experience for kids while a series enhances their ability to stick with something long-term, making fantasy series a win-win for parents and kids.